In 1958, Momofuku Ando, the founder of Nissin Food Products, invented Chicken Ramen, the first instant ramen product. In 1971, he created Cup Noodles, introducing the world to instant ramen in the form that’s become its avatar… Ando continued to create many variations on the theme, culminating, in 2005 (two years before his death at age 96) with Space Ramen (ramen packaged consumption during for space travel). Ando’s personal fortune was dedicated at his death to the formation of the Ando Foundation, which has created the CupNoodles Museum. As we add the flavor packet, we might send well-preserved birthday greetings to Nicolas Appert; he was born on this date in 1752 (though the year is listed in various sources as 1749, 1750 and 1752; month also varies between October and November). Inventor of the canning process, preserving food by sealing it in sterilized containers, he published the results of 14 years of research in 1810 and received 12,000 franc award from the French government. Napoleon, who famously understood that an army travels on its stomach, had offered the award. Interestingly, that same year (1810), Appert’s friend and agent, Peter Durand, took the invention to the other side. He switched the medium from glass to metal and presented it to Napoleon’s enemies, the British– scoring a patent (No. 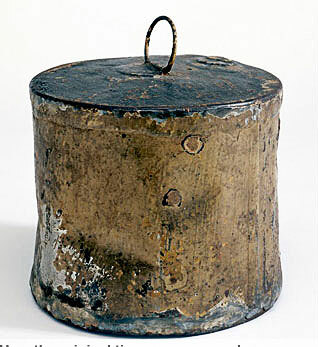 3372) from King George for the preservation of food in metal (and glass and pottery) containers– the tin can.